Two years ago, Sam ran away from New York City to live in the Catskill Mountains. Now his younger sister Alice has joined him and is quietly living in a tree house of her own nearby. 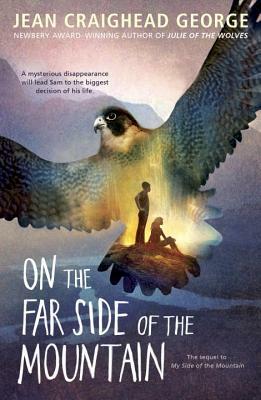 Their peaceful life is shattered when a conservation officer confiscates Sam’s falcon, Frightful, and Alice suddenly vanishes. Sam leaves his home to search for Alice, hoping to find Frightful, too. But the trail to the far side of the mountain may lead Sam into great danger. Jean Craighead George was the preeminent nature writer for children. She is the author of My Side of the Mountain and Julie of the Wolves, and her work spanned 50 years. She died in May 2012 at age 93.